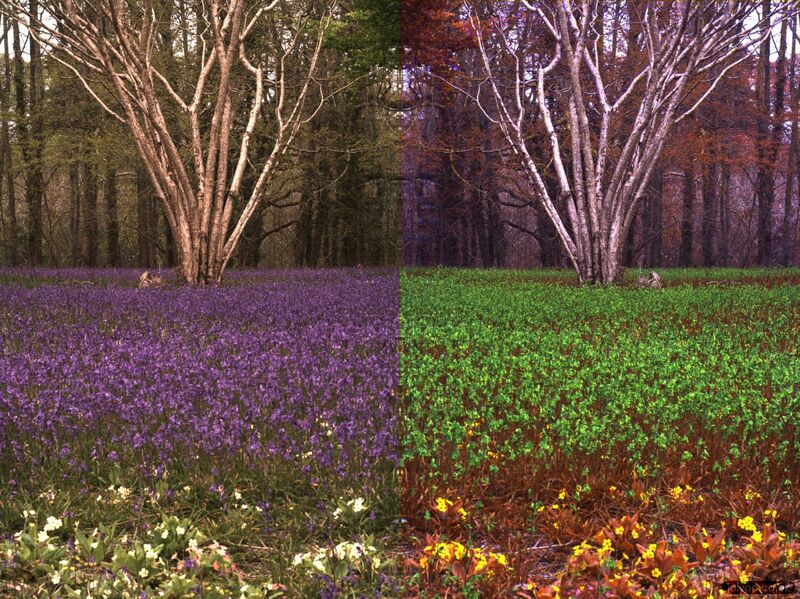 Bluebell display in human (left) and honey bee vision (right). The bluebells are powerfully UV-absorbing, only targetting the bee’s shortwave cones. This results in the powerful green false colour in the image above. The primroses in the foreground are also UV-absorbing, but reflect in the bees shortwave and mediumwave range, so look yellow above. The bark of the large coppiced hazel tree is highly UV reflective, and shows how some lichen species reflect UV while others absorb it.